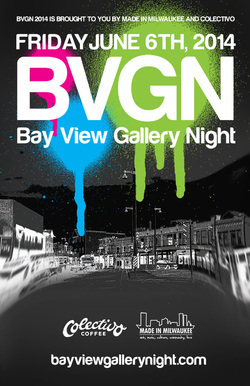 Bay View Gallery Night takes place June 6th, 2014. At Bounce Milwaukee, we'll have adult/child collaborative art on display from 5pm - 9pm, as well as wine specials for adult artists and complimentary sparkling grape juice for their younger proteges. We'll also have art and craft supplies available so that you (and your child) can create your own masterpieces on the spot!